Utah Media Group and our partners, Deseret News and The Salt Lake Tribune, recognize the scenic beauty Utah has to offer. 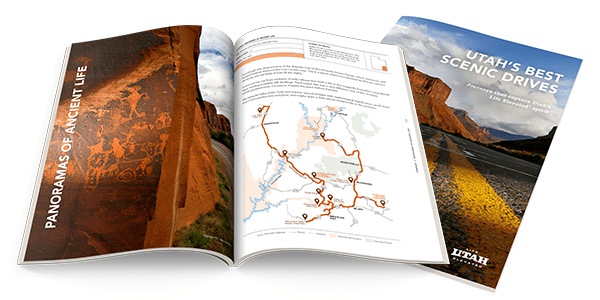 That is why this year we are pleased to have three magazines exploring Utah’s top spots and adventures. 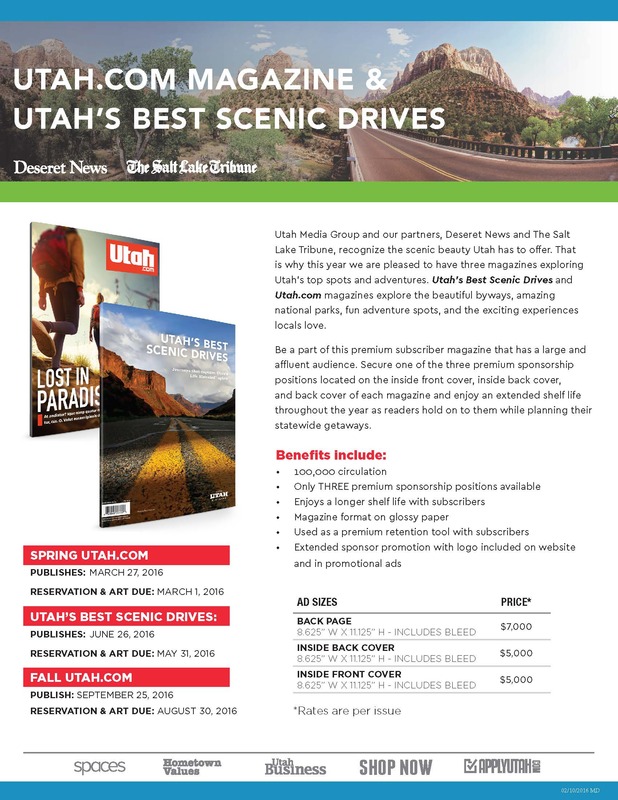 Utah’s Best Scenic Drives and Utah.com magazines explore the beautiful byways, amazing national parks, fun adventure spots, and the exciting experiences locals love. Be a part of this premium subscriber magazine that has a large and affluent audience. Secure one of the three premium sponsorship positions located on the inside front cover, inside back cover, and back cover of each magazine and enjoy an extended shelf life throughout the year as readers hold on to them while planning their statewide getaways.